PATERSON, New Jersey (WABC) -- Sweltering heat prompted at least one school in New Jersey to close early Tuesday, as temperatures inside classrooms soared into the triple digits. 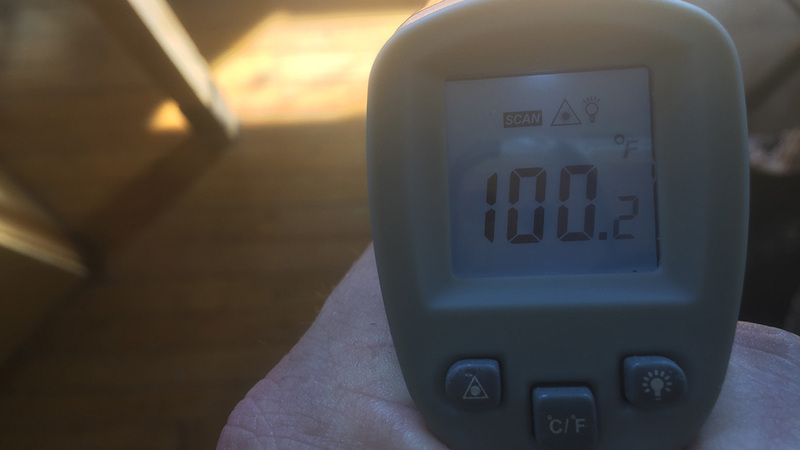 Earlier in the morning, the temperature inside PS 8 in Paterson was actually hotter than the temperature outside, prompting the early dismissal for both students and teachers. Still, parents and the teachers union say it's not enough, and that air conditioning needs to be installed in every classroom. Without it, students say teachers kept the lights off and used fans until the elementary school students were dismissed at 1 p.m.
"It's very hot," parent Manal Mustafa said. "She just came out, and she's very sweaty and very thirsty. And she can't wait until she gets home." Mustafa's 11-year-old daughter Tasneem was fasting, and she said it was difficult for her and others to concentrate. "It's really hard to just walk, and there's only the nurse and the office that has air conditioning," she said. Manal Mustafa said that if they are unable to safely accommodate students, classes should be canceled. "I think they should have air conditioning," she said. "Either have air conditioning, or a day like, this no school at all." "Not just here, but the high school gets even hotter," parent Rosa Ariola said. "And my teenage daughter, same thing. And they have to wear uniforms, it's not like they can wear whatever they want. So they definitely should." "This week's scorching temperatures has placed an enormous amount of stress on our students and employees in Paterson and beyond. More than that, this is just another prime example why schools statewide should all be outfitted with climate-controlled learning environments." A spokesperson for Paterson Public Schools told Eyewitness News that the schools have specific directions on appropriate ways to keep rooms cool or move students to cooler areas if necessary.